In the early 1700s, a generation before the Guinness family was selling beer, they were already brewing it in County Kildare, Ireland. Arthur Guinness’ father, Richard Guinness, was a servant, tasked largely with producing beer on the private property of an Irish Archbishop. Richard Guinness and his employer had a very amicable relationship -- so much so, that the Archbishop would become the godfather to Richard’s son, and eventually leave the child one hundred pounds in his will, the rough equivalent of $25,000 in today’s money. Years later, that will would be carried out. Struck by whatever great bolt of entrepreneurship he had, and equipped with the knowledge his father had passed on to him, Arthur Guinness decided to take that money and buy himself a brewery. Or, at least...a building. In Leixlip, Ireland, Arthur Guinness found a dilapidated, all-but-abandoned warehouse. What someone else had written off as the rubble of former glory, Arthur saw as the foundation for future success. This sort of ‘against all odds’ mentality would prove to be a pattern within Arthur Guinness, and would serve him well in years to come. In Leixlip, he went on to enjoy modest success brewing beer at a small-scale. But Arthur was in no short supply of ambition. At age 34, Arthur left his Leixlip brewery to his little brother, and set off for Dublin with a modest sum of cash in his pocket. The market for Irish brewed beers was (at best) suffering at the time, being eclipsed almost entirely by English beers. But -- no shock here -- Arthur was undeterred. Once again, Arthur saw opportunity— this time in an old, disused brewery, where he set up shop in Dublin. In fact, Arthur apparently believed so fully in his own enterprise, that he signed an effectively eternal, 9000 year lease on the property. The dark-as-night Guinness we know and love today was not the first of Arthur’s offerings, though. For years, he focused his efforts on ales, and found reasonable success doing so. They were in style at the time, and Arthur was quite knowledgeable on their production. But in the 1770s, the Porter came to Dublin. This darker style of beer became increasingly popular in the Irish market, and Arthur knew a good opportunity when he saw one. Arthur Guinness, true to form, risked it all —he dropped ales from the brewery, and focused the entirety of his enterprise on producing the new, darker Porters. Unfortunately, Arthur Guinness died just four years after creating what is now known as the signature Guinness brew. He never enjoyed the true scope of his success, but if his past confidence was anything to go by, he probably saw it coming. Luckily for the rest of the Guinness-drinking world, the story doesn’t stop with Arthur Guinness’ death. Arthur Guinness II was the heir apparent to his father’s brewery (and he did a bang-up job, if we do say so ourselves). Now, here’s where we need to take pause. It’s easy to write off Arthur Guinness II as being born on third base, but the man didn’t have it as easy as he may have liked. Guinness was still a fairly localized enterprise at this point, far from the global powerhouse Arthur Guinness II would create. Trans-ocean travel was extremely risky, hugely time-consuming, and prohibitively expensive. On top of this, while Arthur II was doing his best to expand his father’s legacy, Napoleon himself was busting down Europe, ultimately providing another entry into Guinness’ list of “things that didn’t slow us down”. Current events be damned, Arthur Guinness II shipped eight barrels of beer across the Atlantic, to South Carolina. With this successful shipment in mind, Arthur II and subsequent generations would build Guinness into what it is today. 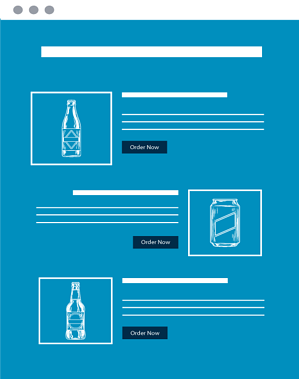 Over the next couple hundred years, what started in a dilapidated brewery in the Irish countryside would become one the world’s most universally loved brews. 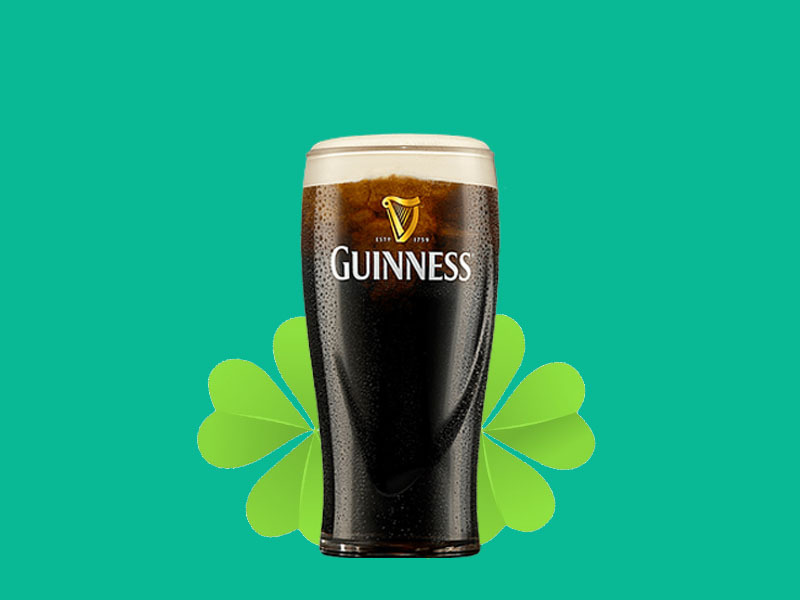 And today, the beer isn’t only enjoyed around the world -- Guinness is also crafted internationally now, with the company holding breweries in (among other places) the Bahamas, Nigeria, Canada, South Korea, Indonesia, Namibia, and of course, Ireland. Meanwhile, in America, Guinness continues to expand and keep up-to-date in the ever-changing beer landscape. In 2018, “The Dublin” was opened in Maryland as Guinness’ first American brewery in over sixty years. The Dublin does not produce Guinness’ hallmark stout, instead focusing on breaking into the American craft brewing scene. In Maryland, Guinness creates exclusive, experimental beers for the American market. The long and the short of it, we’d say, is that Arthur Guinness would be proud. 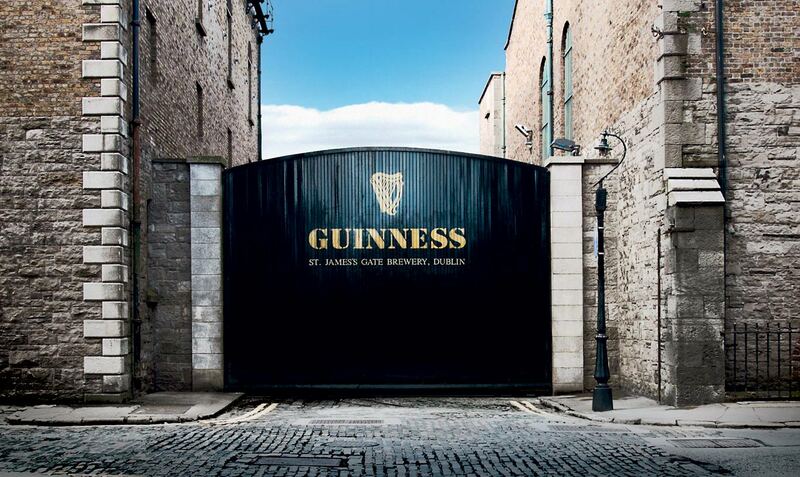 The story of Guinness is more than just ‘man builds business’. It is the story of passion, of courage, and of a seemingly pathological need to make things happen, despite all odds. So this St Patrick’s day, toast to whatever you will. But certainly, we’ll keep in mind the fighting spirit, the unbridled ambition, and the fearless risk-taking that brought us our Guinness in the first place.